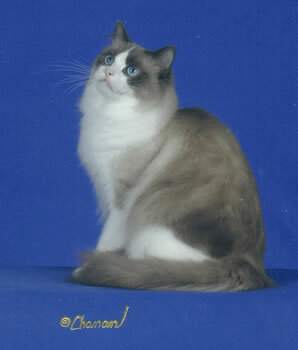 CFA 2nd Best Ragdoll US & Best in Southern Region 2001-2002. Silhouette is the producer of Five CFA Grand Champions earning her the title of Distinguished Merit (DM) in CFA; a very coveted award! THANK YOU Lora Tesh for my Sweet, Dear Silhouette!! TICA, CFA and ACFA Champion Soulmate's Wish Upon A Star, DM ("Chrissy")- Our Special Chrissy, mommy of CFA Grand Champions Risky Bizness, Buttons 'N Bows and Sweet 'N Sassy & CFA Grand Premiers Kash 'N Karry and Kitt 'N Boots (5 CFA Grand Champions produced by Chrissy and Geno) and CFA Champion R-U Redi! 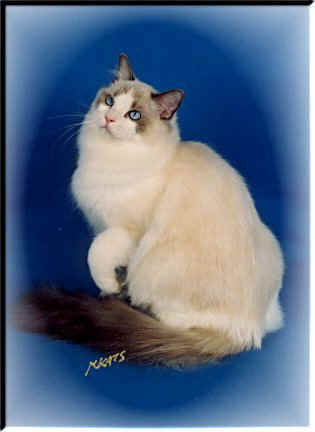 CFA 2005: 3rd Best Ragdoll in So. Region; my 5th Home-Bred CFA Grand Champion! 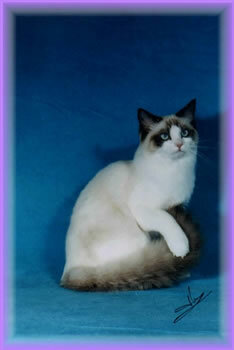 a lovely blue bicolor sister to Sassy by Chrissy and Geno! 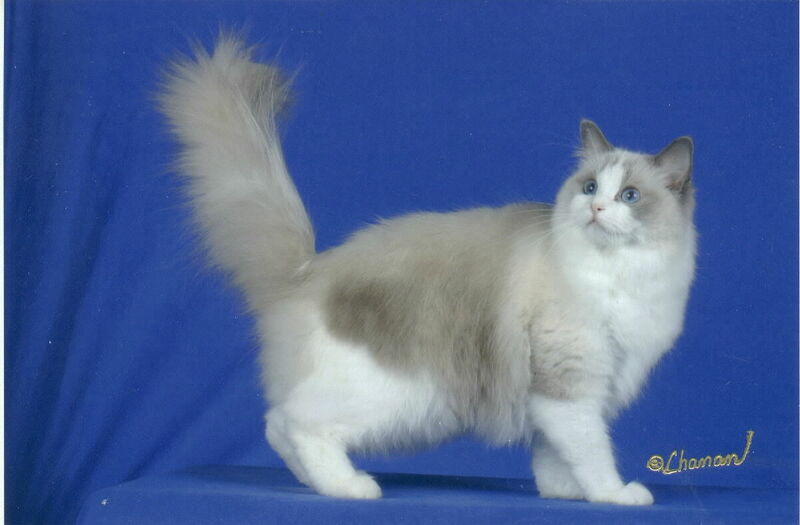 For the show season ending May 2007, Buttons earned the title of 25th Best Cat in the Southern Region of CFA and 2nd Best of Breed Ragdoll Internationally! My 7th Home-Bred CFA Grand Champion! 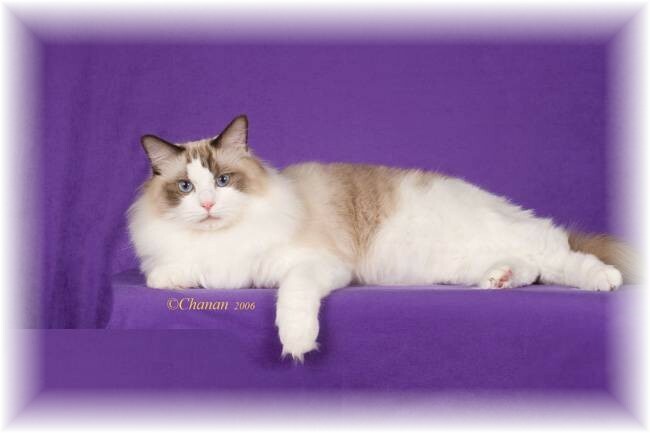 Meet The Daddy of Grand Champions Buttons 'N Bows, Sweet 'N Sassy and Risky Bizness and Grand Premiers, Kitt 'N Boots, Kash 'N Karry (the mom is: CH Soulmate Wish Upon A Star, DM ("Chrissy" above)! 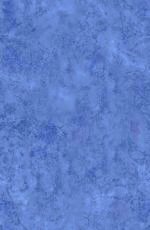 THANK YOU JaNeil for sharing your very, very best with me!!!!! 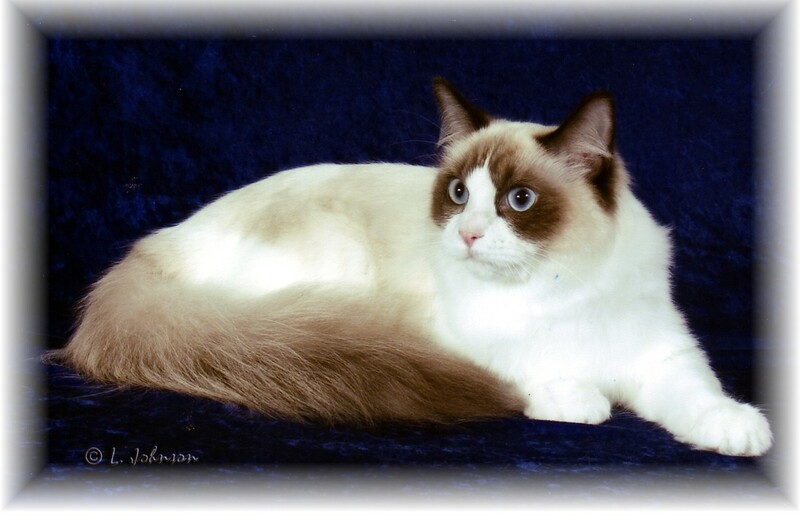 Geno has sired SIX CFA Grand Champions: Grand Premier "Bordeaux's Blue Suede Shoos," CFA, TICA & ACFA Grand Champion "Bordeaux's Sweet 'N Sassy" and CFA Grand Champion Bordeaux's Risky Bizness and CFA Grand Champion Buttons 'N Bows; CFA Grand Premier Kash 'N Karry; and CFA Grand Premier Kitt 'N Boots! RIGHT: Grand Champion Desperado son CFA Grand Premier "Bordeaux LTD's R-U-Macon Biscuits". 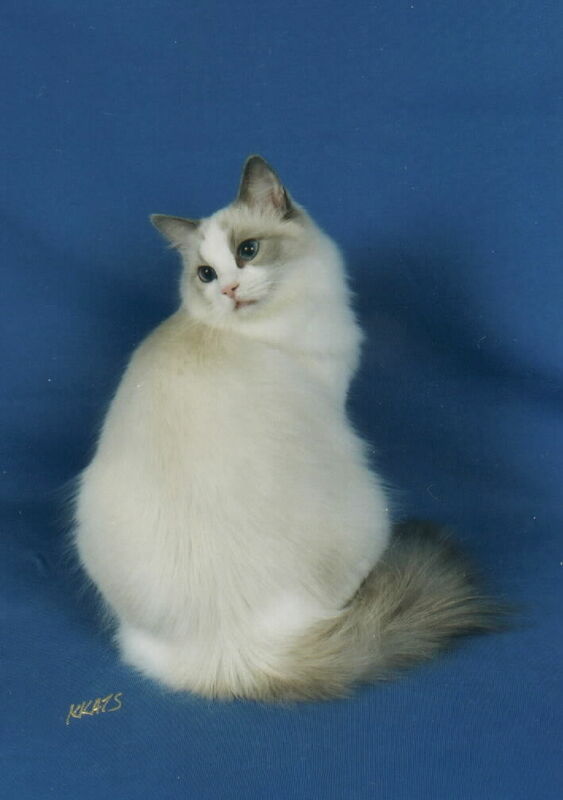 2007: Best Ragdoll Alter in the Southern Region and 4th Best Ragdoll Internationally; 2006: Biscuit was 3rd Best Ragdoll Alter in the United States; Mommy: Champion R-U-Redi, Risky's sister; Biscuit has gone to live with Bob Houdek in Sun City Center, FL! We miss him so much! 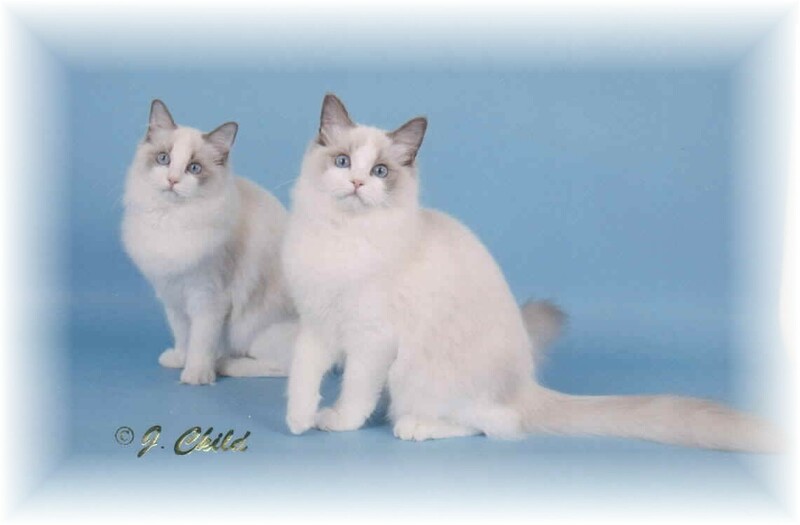 RIGHT: Biscuit's Brother ("CFA Grand Champion Bordeaux LTD's R-U-Rowdy"; litter brother to Biscuit): A Gorgeous Seal Bicolor Male; Rowdy now living with Margaret Trahan of Cherryhill Ragdolls; 2006: Rowdy 3rd Best of Breed Ragdoll Internationally. Our 22nd Home-Bred CFA Grand Champion! 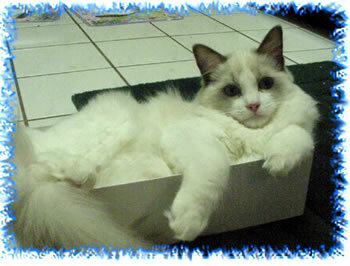 See their sister: Matty below!! LEFT: CFA Grand Champion Bordeaux LTD's R-U-Ready Made ("Matty"), a gorgeous seal bicolor girl; sister to Biscuit and Rowdy above. 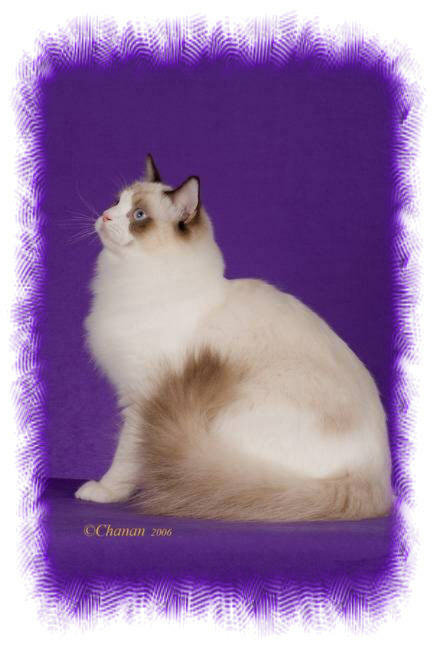 Making 3 Grand Champions in One Litter! RIGHT: CFA Grand Premier Bordeaux LTD's R-U-Chase 'N Dreams ("Chase"), a lovely seal bicolor boy by Grand Champion Desperado and Champion Redi; a repeat of Grand Premier Macon Biscuits and Grand Champions R-U-Rowdy and Matty! Making the 4th Grand Champion by Redi/Desi! 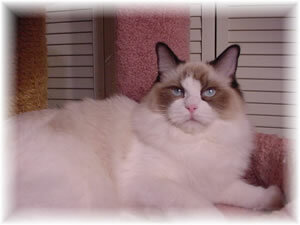 Chase has gone to live with Bob and Biscuit in Sun City Center, FL. Our 24th Home-Bred CFA Grand Champion! LEFT: CFA Champion Bordeaux LTD's R-U-Make 'N Memories ("Memory"; with 22 Grand Points), a lovely seal bicolor girl by Grand Champion Desperado and Champion Redi; Sister to Chase; now campaigning for her Grand Champion title! ABOVE LEFT: blue bicolor male (Risky As A Baby in A Box) ABOVE RIGHT: - TICA & ACFA Champion and CFA Grand Champion "Bordeaux's Risky Bizness (one final from his TICA Grand); producer of NINE CFA Grand Champions!"! 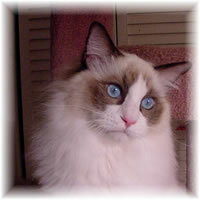 We are so proud of Risky's producing ability; he stamps his kittens with his gorgeous head and type! RIGHT: blue bicolor female, CFA, TICA & ACFA Champion "Bordeaux LTD's R-U-Redi" litter sister to "CFA Grand Champion Risky Bizness" - Redi has now produced FOUR CFA Grand Champions by Grand Champion Desi: Biscuit; Rowdy, Chase and Matty; Redi Lovingly owned by her breeder, Liz Thurman! LEFT: CFA Grand Premier "Bordeaux Ltd's Kitt 'N Boots", a gorgeous blue bicolor male (repeat of my Chrissy/Geno blue bicolor babies). 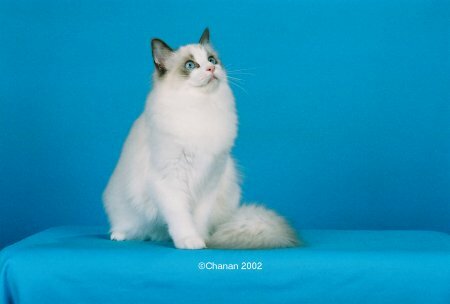 FLASH: Boots 3rd Best Ragdoll Kitten in CFA in Southern Region for 2004 and 13th Best Ragdoll Alter and Best Ragdoll Alter Internationally for 2005. Our 10th Home-Bred CFA Grand Champion! Introducing Some of My Family Members Who Have Gone to New Loving Homes! 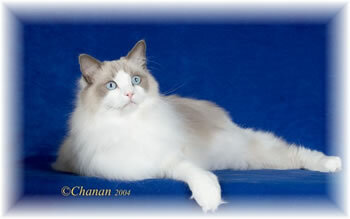 RIGHT: Grand Champion Desperado son CFA Grand Premier "Bordeaux LTD's R-U-Macon Biscuits". 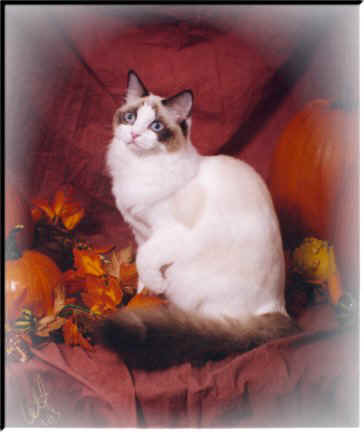 2007: Best Ragdoll Alter in the Southern Region and 4th Best Ragdoll Internationally; 2006: Biscuit was 3rd Best Ragdoll Alter in the United States; Mommy: Champion R-U-Redi, Risky's sister; Biscuit has gone to live with Bob Houdek in Sun City Center, FL! We miss him so much! Our 17th Home-Bred CFA Grand Champion/Premier! RIGHT: Champion Bordeaux LTD's Just A Jazzmyn ("Jazzmyn")!Jazzmyn has now retired and is lovingly owned by Dari Theobald and her family in Orlando, FL); Jazzmyn and JingleBell are sisters out of Champion Sunny and Baby Sage and Justin's Mom and are great producing moms! RIGHT: Champion Bordeaux LTD's Just A Jinglebell! 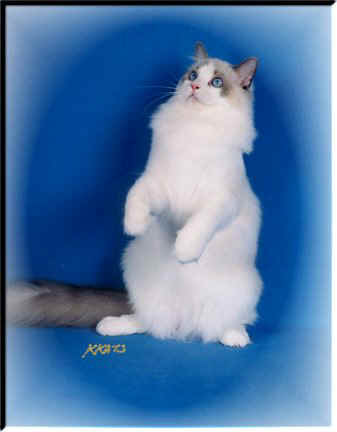 Jinglebell has now retired from my breedng program. She's the mother of three CFA Grand Champions/Grand Premiers!